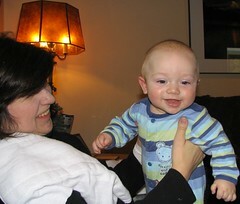 This is a recent photo of Benjamin in which he is smiling. He smiles all the time. Seriously. But he's incredibly camera savvy. The lens comes out and he goes all neutral like. But we fooled him. We're getting savvier, too.